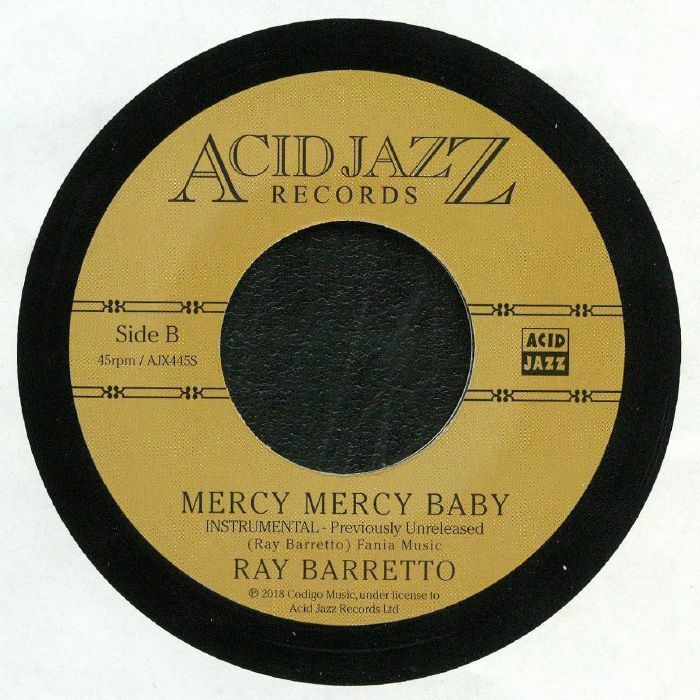 Ray BARRETTO Mercy Mercy Baby vinyl at Juno Records. 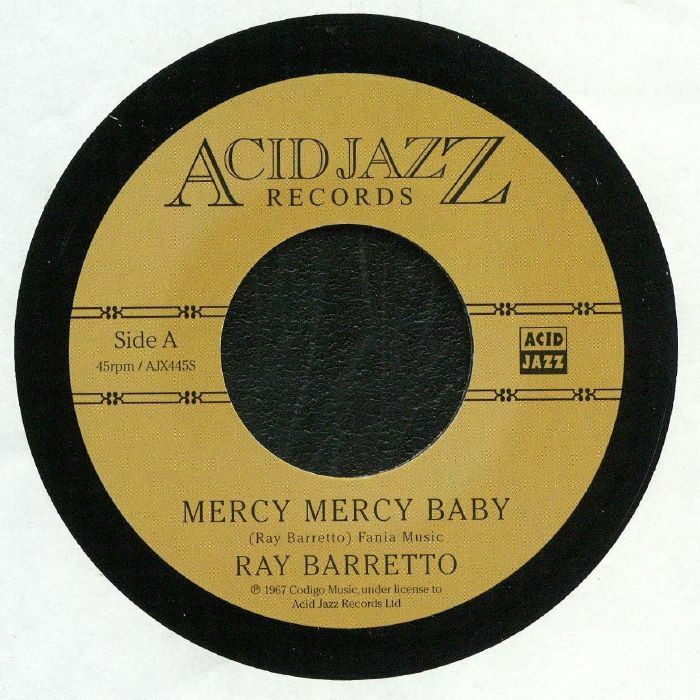 Puerto Rican music legend Ray Barretto has a seriously impressive biography, including spells with the Tito Puente Orchestra and the acclaimed Fania All Stars. 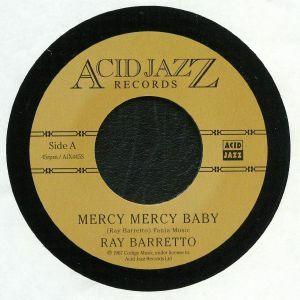 This tasty seven-inch single serves up one of Barretto's best boogaloo-era cuts, 1968 single and Acid album track "Mercy, Mercy Baby". It remains a fine song, wrapping a jaunty salsa rhythm in various boogaloo aural hallmarks, including impassioned vocals, funk-influenced horns and an incessant piano riff. Interestingly, this edition doesn't feature the original single B-side, but rather a previously unissued instrumental version. Shorn of the vocals and pop production, it feels breezier and heavier, with additional trumpet solos that will wind their way into your subconscious.